Few field trips will make an impression equal to that made by a student’s first trip to a planetarium. The hushed quiet, the darkness, and then the glowing and glittering night sky that appears as dusk slips away is an unforgettable experience. Even though we live through this same process every day of our lives, we don’t stop to enjoy it. But being stationary, relaxed and able to look up for long periods of time make planetariums a kind of time capsule where life slows down (or speeds up) to show the glory of our universe. If your school’s STEM/STEAM program includes astronomy, a planetarium field trip should be at the top of your list. Luckily, Michigan is home to many planetariums so there are many choices offering diverse programs in the upcoming months. Here’s a sampling of options from around the lower peninsula grouped by region. On the east side of the state, the Cranbrook Institute of Science Acheson Planetarium in Bloomfield Hills, offers a full Astronomy & Space Science educational program with shows designed for students from grades pre-K to 12. Most programs are narrated live and topics cover everything from beginning stargazing to the electromagnetic spectrum, the seasons and the sky, stories in the stars, and much more. Field trip registration is open so find out more and start planning! In Flint, the Longway Planetarium has a full-blown schedule of space and science shows geared for students grades pre-K through 12 that offer fun and inspiring ways to learn about our world and outer space. Among the many programs are “Accidental Astronauts” for grades one through three, “Perfect Little Planet” for grades three and four, “Skies Over Michigan” for grades four and up, and “We Are Stars” for grades five and up. Also on tap is a full hands-on science program at the planetarium that would be a great complement to traditional programs. Find out more and get reservation instructions in the 2018-2019 Guide. In the Great Lakes Bay region, the Delta College Planetarium & Learning Center is busy getting ready to debut its new laser-phosphor projectors and has a great variety of shows to choose from. With one of the world’s most advanced digital theater systems and a 360-degree screen, every show is amazing. 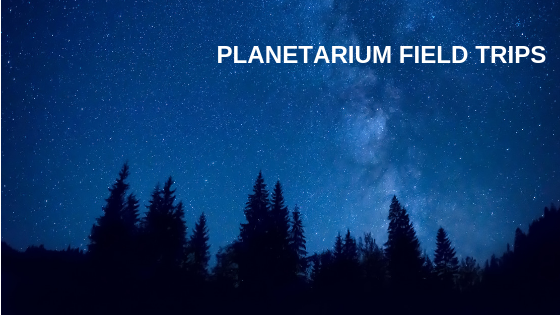 Programs include a full-dome movie (chosen from their vast library), a tour of the night sky, discussions, question and answer sessions, and always concludes with a virtual roller coaster ride. Schedule your group field trip today! At Michigan State University in East Lansing, Abrams Planetarium has been introducing students to astronomy for more than five decades and today offers programs of one-to-three lessons in sequence. Abrams offers age-specific shows from grades pre-K through three, grades K through five and grades six and up. The selection of shows includes both prerecorded options like “Our Place in Space” for the little ones, and more advanced programs like “Sky Tellers: Seasons and the Moon” and “From Earth to the Universe.” Abrams also offers pre-visit teaching resources like a Sky Calendar and information about buying a telescope, including how they work and different types available. Get information about school group visits and make your reservation early. To the south, Lenawee County’s Adrian College is home to the Robinson Planetarium & Observatory that hosts school groups in grades K-12. Options available include live shows with topics of special interest to your class and prerecorded “masterpiece” shows tailored to your students’ age group such as “Earth, Sun and Moon,” “Cowboy Astronomer,” and “IBEX: Search for the Edge of the Solar System.” Some shows also have accompanying lesson plans so make your reservations and get ready for a great show. Kalamazoo Valley Museum Planetarium is nearing its 60th anniversary and offers traditional programs as well as interactive programs for students in pre-K and up. Choices include culturally-based shows like “Sky Legends of the Three Fires.” Other programs offered include, “Our Place in Space,” “The Earth,” “The Night Sky,” “The Solar System,” “Technology,” and “Just for Fun.” A trip to the planetarium can also be combined with a museum program so make your reservation today. At the Grand Rapids Public Museum’s Roger B. Chaffee Planetarium, programs are available for the planetarium only, the museum only, or a combination, depending on educational needs. The planetarium is inside the museum and has received more than $1 million in renovations, including the latest Digistar projection technology. Shows are offered for students of all ages and include titles like “One World, One Sky: Big Bird’s Big Adventure,” “Space School,” and “Subatomic: Detecting the Unseen,” to name a few. Like all planetariums, seating is limited so it’s best to make a reservation as soon as possible. The Muskegon Community College Carr-Fles Planetarium is all new and West Michigan’s only free planetarium. Since it is open to the public daily, teachers wishing to reserve a private show for their class should make their reservations sooner than later. The Carr-Fles Planetarium offers a variety of programs for different age groups starting at age 4 through adult. Titles include, “The Zula Patrol: Under the Weather,” “Black Holes: The Other Side of Infinity,” “Undiscovered Worlds,” and many more. If you’re heading to the planetarium for a fun educational time, there’s no better way to arrive than on an Indian Trails charter. Learn more about our charter services and plan your field trip to the stars on Indian Trails! For more ideas and help with field trip planning, read our blog, "How to Plan a Successful Field Trip."